Upton-based door manufacturer Permadoor are proudly supporting a fundraising event staged by local fire fighters. On Saturday 22nd of July, Upton Fire Station is opening its doors to friends, dignitaries and visitors from throughout the community to help raise money for the fire service. 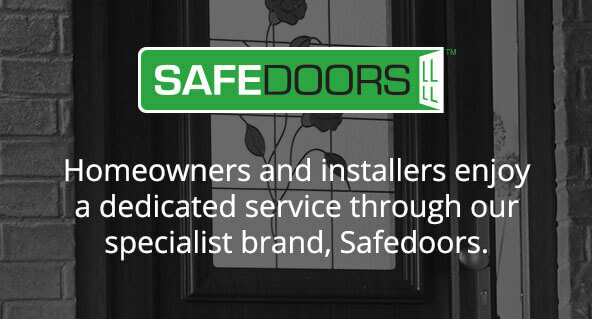 As well as attending and helping raise awareness of the event, Permadoor will also be donating one of its composite doors, which will serve as a prize for one lucky raffle winner. The long-established Upton firm has a close relationship with the local fire service. Permadoor employee Gordon Adam is a paid on-call fire fighter, and is occasionally called out to deal with emergencies on work time. “We are all extremely proud that Gordon isn’t just a highly valued part of our business, but an integral part of the local fire team, too,” comments General Manager Mark White. Station Commander, Mark Strutt, also comments “Thanks to Permadoor for their continued support over many years, by allowing members of staff to respond to emergencies in the local community as part of a fire and rescue crew. 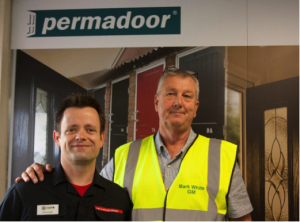 Without the support of local employers like Permadoor, it would be incredibly difficult to maintain the emergency response currently delivered in our more rural areas”. The Upton Fire Station is keen to speak to local businesses and residents to discuss the role of on call fire fighters within the local community. If you would like to find out more information about being an on-call fire fighter visit the Upton Fire Station Open Day on Saturday 22nd July.